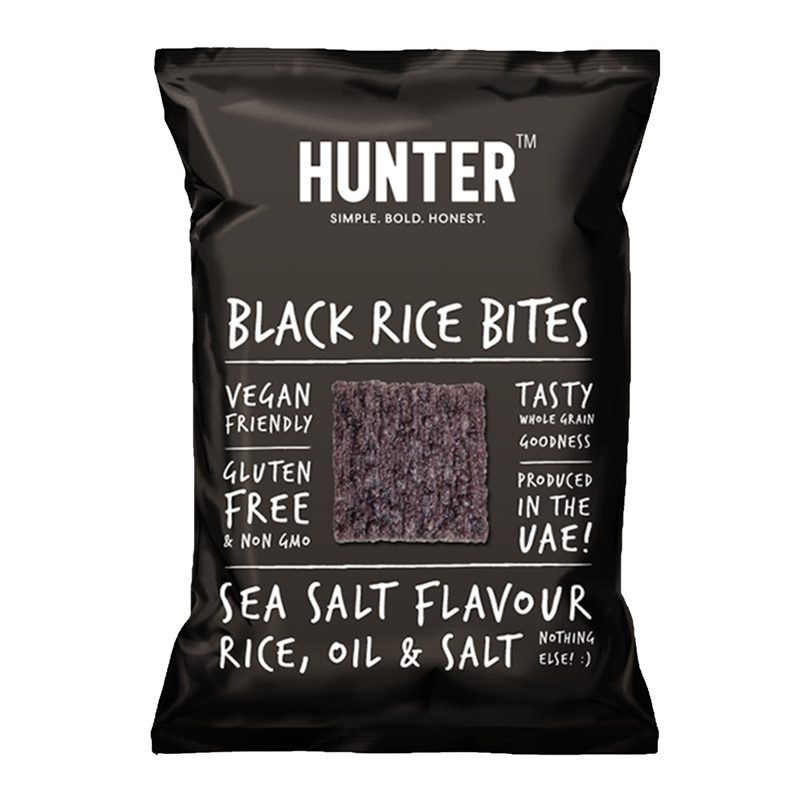 Crunchy and light, Hunter Brown Rice Bites are made from whole-grain brown rice with real seaweed flakes and a classic, slightly chilly teriyaki sauce. Perfectly sized for a single mouthful and as the packet says: 100% WOW! 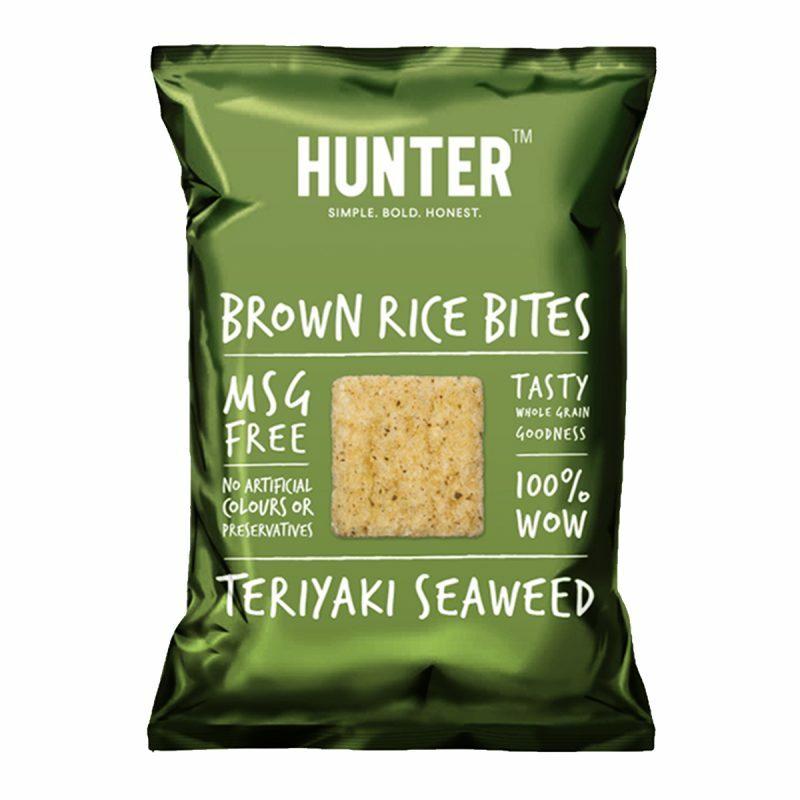 Hunter Brown Rice Bites – Teriyaki Seaweed (100gm) 100gm Packet. Alternative Snacks, MSG Free, No Preservatives, No Artificial Colours, No Transfat, No Cholesterol, Halal. 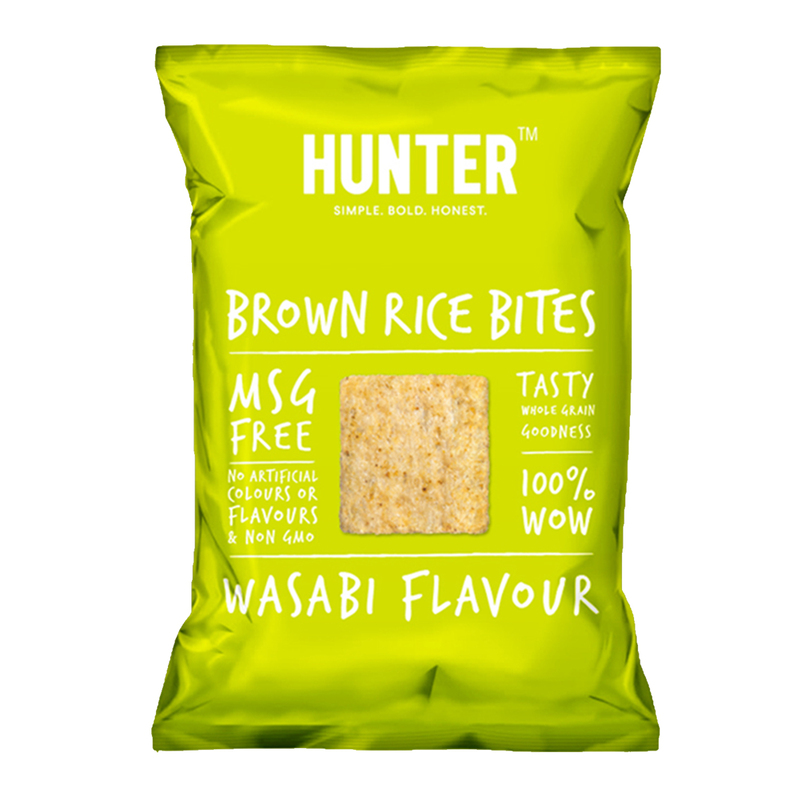 Brown rice, corn flour, perilla seed, sustainable palm fruit oil, teriyaki seaweed flavour [sugar, soy sauce powder (soy sauce, maltodextrin (wheat), salt), salt, maltodextrin (wheat), dehydrated seaweed flakes, flavouring (teriyaki seaweed), garlic, chilli, paprika, yeast extract, flavour enhancer (E627,E631). Contains: Soy, Wheat. They taste sooo good, keep ’em coming! the Teriaky seaweed is such an interesting taste! I tried them out at Taste of Dubai and could not stop munching on them while watching the concert.